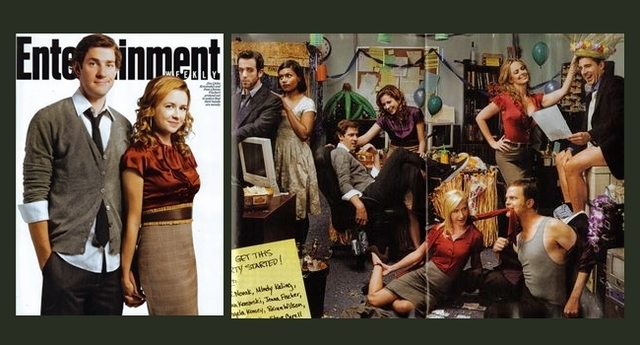 The Office Cast. . Wallpaper and background images in the The Office club tagged: the office john krasinski jenna fischer angela kinsey banner paperflowers. This The Office fan art might contain portrait, headshot, and closeup.